A wide selection of materials preparation, analysis and testing products to suit a broad range of applications. From metallographic equipment, microanalysis systems and microscopes, to test seives and general laboratory equipment. Our range of metallographic equipment along with consumables are used by a wide range of industries and groups for the analysis of all types of materials, including ceramics, composites, semiconductors, metals, rocks and minerals, and plastics. A range of microanalysis systems and microscopes to suit a wide variety of scientific, industrial, environmental and quality analysis applications. Ranging from Thermo Scientific's fully integrated microanalysis system; to the Leica Microsystems range of microanalysis solutions for materials and earth sciences, industry and manufacturing. Endecotts provide a range of high quality test sieves, designed for accurate and efficient particle size analysis. Also available are sieves shakers and other sampling equipment required for particle analysis. We offer a comprehensive range of instruments and equipment to outfit any lab. 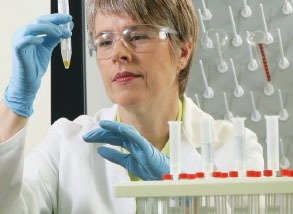 Our products cover a broad range of essential applications crossing all key laboratory disciplines and functionalities.